I’ve gone from reading this title through abject distaste to reading it with feigned interest, which is actually a step up. Now that Remender has no excuse to have Wanda and Rogue in the same place, he’s not filling up the pages with petty smack talk. So, yeah, that’s a plus. There is not nearly as much mis-characterization going on, but I feel like that is only a temporary reprieve. As for the Horsemen, the shear amount of dialogue pretty much ruins anything that could be considered dramatic or heartfelt. Seriously, all these characters talk way too much, both verbally and in the thought boxes. 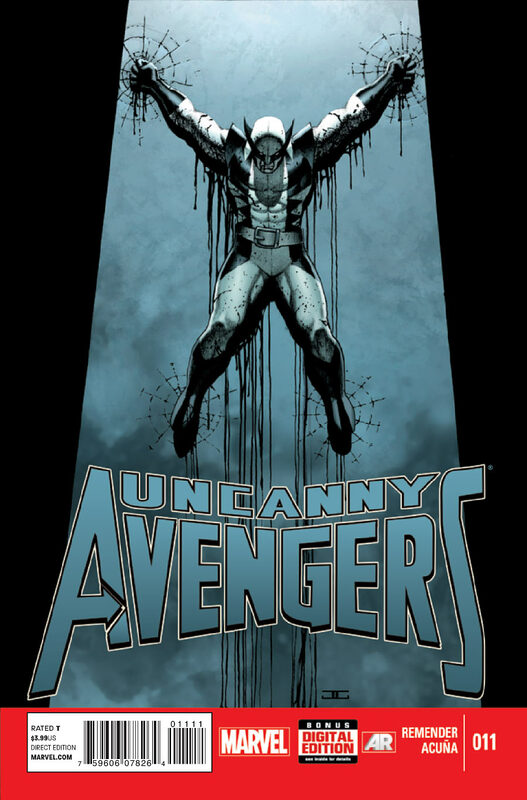 I’m pretty sure we were supposed to feel something with Wolverine and Daken… pretty sure. Lastly… Wanda is being used a weapon cause of ‘destiny’ stuff… excuse me while I sit here and sigh.